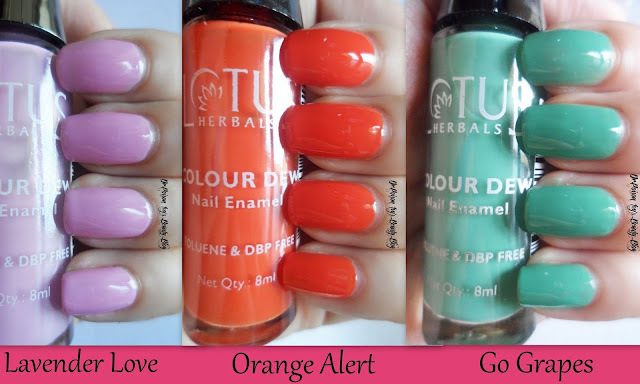 I am back with 3 polish swatches from Lotus Herbal Colour Dew Nail Enamel. I will keep this post short and to the point. 2,Acetone, DBP and toluene free. I found the product a little runny but the good thing is there is less chances of clumping. The application was easy and it glides on. They are little sheer except for Orange Alert which is very pigmented. I applied 3 layers in all the pictures to acheive the desired shade. These colors look nice and I always loved nail polishes from lotus hernals. Glad that they came up with some nice colors finally. Never heard of those nail polishes, but the shades do look pretty. I had never heard of this polish line before but they are such pretty colors! 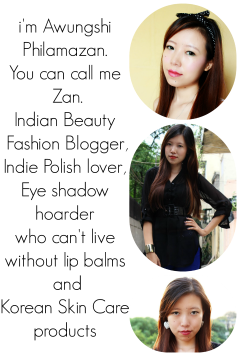 Thanks for the review which helped widen my polish obsession lol!